This historic neighborhood was known as Cane Island in the mid-1800s, named for an area creek which was thought to have been filled with cane by early settlers for fur trapping. In 1893, the Missouri–Kansas-Texas (or MKT Railroad) began laying rails throughout the prairie land, and after railroad officials started calling it “the Katy,” a new name was born. You’ll still find the MKT Depot along with the Katy Heritage Society Railroad Museum in Katy today, and while the old suburb may not have been known as a great brunch neighborhood in the past, times have changed. 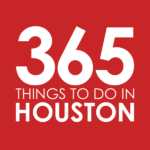 Note: For the purposes of this list, Greater Katy includes the suburbs that surround the Katy city limits west to Pederson road, east to Fry road, north to FM 529, and south to FM 1093/Westpark Tollway Parkway. Dish Society – Farm-to-table eats are the name of the game at this Katy outpost of the all-day, seasonally-inspired diner. The casual spot is counter-service during brunch hours, with offerings including brisket n’ eggs, a house-favorite rocking brisket, open range sunny-side eggs, smoked gouda grits, tomatillo relish and a house buttermilk biscuit; gristmill organic wheat pancakes with fruit, powdered sugar and toppings like candied pecans and white chocolate chips; and lunchier items like shrimp tacos, quinoa-stuffed avocado and 44 Farms chimichurri steak tacos. Tack on some revitalizing juices, mint lemonade and virgin mojitos; or go boozy with wines, cocktails or the “bromosa,” a bubbly and Karbach Weisse Versa cocktail with orange and lemon. Saturday 7am to 3:30pm; Sunday 8am to 3pm. Click here for directions. Las Delicias de Super Pollo – Skip your usual pancakes and try out Venezuelan and Colombian morning and afternoon specialties instead. Dig into huevos con arroz tostones (your choice of eggs with rice and twice-fried plantain slices that are nothing short of extraordinary), calentado de frijol (a mix of red beans and rice with eggs, pork belly strip and sweet plantain) or cachapa llanera (sweet corn pancakes folded over queso de mano and served with black beans, fried plantain, and deep-fried pork); Then wash it all down with coffee, natural guava and mango juice, and anything you please from the full bar. Saturday and Sunday beginning at 9am. Click here for directions. Local Table – Eat, drink, and gather with family and friends at this fresh-faced spot from the team behind Hungry’s Café and Bistro. Get the juices flowing with mimosa flights and sangria carafes before moving on to the big guns. Three-egg omelets come stuffed with spinach and feta, imported ham and cheese, garden veggies, and Tex-Mex beef and peppers, while Benedicts run the gamut from classic and crab cake to veggie quinoa. There’s also a fried egg Angus burgers and croissant egg sammie and things like waffles, migas, wraps, and salads. Saturday and Sunday 9am. to 3pm. Click here for directions. Peli Peli – Maybe an upscale South African eatery isn’t the first thing you think of when you think of brunch. Well, maybe it should be. Opening this summer 2017 (by end of June or early July) in LaCenterra at Cinco Ranch, the new locale will be continuing the tradition of Peli Peli’s award-winning brunch. Get South African-inspired plates like chicken schnitzel and deep-fried waffles with golden syrup, filet eggs benny with spicy peli peli sauce, kikta french toast, prawn cakes, and biltong bloody marys made with South African beef jerky. Saturday and Sunday 11am to 4pm. Whiskey Cake – This whiskey-fueled Dallas import is a must hit during brunch, when you can start with some scratchmade cheddar-jalapeño drop biscuits with sausage gravy, brûléed Greek yogurt parfait, and deviled eggs for the table. Just be sure to save room for the main event, hangover brisket burgers, pulled pork eggs benny, farmer’s breakfast hash with thick-cut cherry wood bacon, and lemon poppyseed pancakes. Whiskey flights, craft brews, and inspired elixirs round out the menu. Saturday and Sunday 9am to 4pm. Click here for directions. Other great options – Get daily breakfast at daytime cafes First Watch and Snappy’s Café & Grill and fan-favorite Black Walnut Café; go for American and Mexican breakfast classics at Salt and Pepper; and look out for the pancake and hollandaise-fueled morning favorite, Snooze an AM Eatery, which plans to open a location in LaCenterra at Cinco Ranch in late 2017.